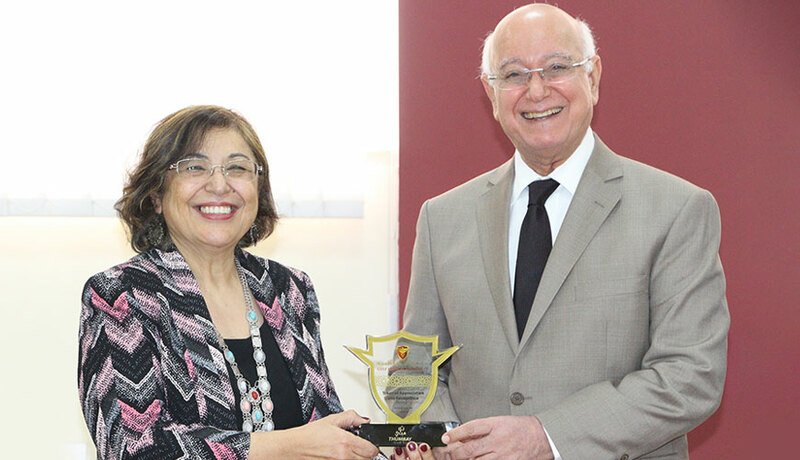 Master in Public Health (MPH) program offered by the College of Medicine, Gulf Medical University received the initial accreditation from Commission for Academic Accreditation (CAA), Ministry of Education, UAE in 2010. Demonstrate specialized knowledge and competencies in the areas basic to public health (social and behavioural sciences, biostatistics, epidemiology, environmental health science, and public health management) to practice essential public health services. Integrate the advances of research and evidence-based practices, and contribute to scientific knowledge through independent and collaborative research projects and publications. Develop professional skills required to analyze the regional needs, programs and policies in public health services, education and research, and to contribute in policy making and program planning. The applicant shall be a Graduate of Science / Health or Biological Sciences in an accredited school in the UAE or a IMED-listed medical school outside the UAE with a cumulative grade point average of 3.0 on a 4.0 scale or its established equivalent. The Applicant must have proficiency in spoken and written English. The applicant can fulfil the English proficiency requirement via the TOEFL, IELTS, or UA CESL Endorsement Exam, minimum requirements are listed below. TOEFL and IELTS test scores must be dated within two years of the year of enrolment. TOEFL: Score of 90 on the iBT (web-based) test or higher. IELTS: Overall score of 7 is required, with a score of no less than 6 on any individual band or module. The University of Arizona CESL Endorsement Exam: score of B2 (i.e. very independent) level of proficiency for graduate-level study at UA is required, according to the CEFR Global Scale (Common European Framework of Reference). Relevant academic and professional experience certificate, if any. Being a graduate from Government Dental College, Mumbai and Masters in Public Health from Gulf Medical University, I am presently working as a Medical Director and Dental Surgeon in Thumbay Dental Hospital, Thumbay Medicity, Ajman. Enrolling myself in Masters in Public Health Program, College of Graduate studies in Gulf Medical University in 2013, it takes me immense pleasure to tell that I had one of the most amazing experiences as being a part of MPH batch 2013. I truly appreciate the efforts of the faculty members inculcating the knowledge in an interesting way. The faculty members are competent, helpful, flexible and approachable. I admire the excellent planning of our academic syllabus, which allowed me for active involvement in the classes. The theme and content of the course and attitude of the faculty has really provided me a widened horizon towards the significance of public health in present day society. MPH program allow students to explore in depth areas relevant to their personal career goals. Moreover, the concentrations enable students in the interdisciplinary MPH program to establish a link with one or more of the school’s academic departments. The program prepares students to become leading public health professionals capable of addressing current global health problems through multidisciplinary approaches that apply the latest scientific knowledge. Being in field of Oral Healthcare Services, I now look up to the oral problems in a broader frame. I believe that my approach towards my patients will be far more reaching. I would also take this opportunity to thank Sir, Founder President, Dr. Thumbay Moideen and my colleagues for their invaluable support and tremendous help. 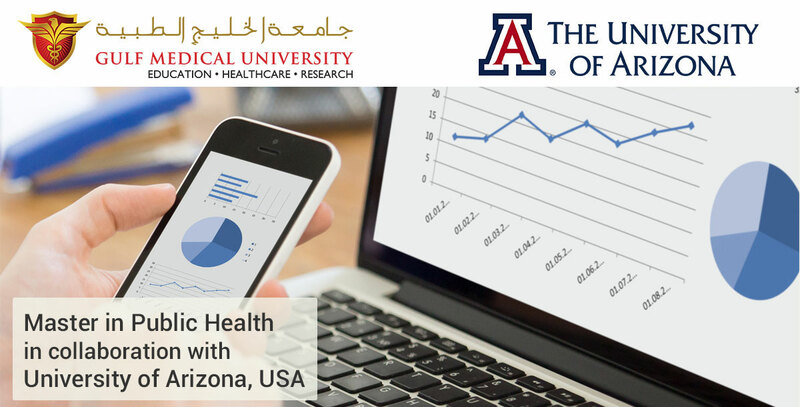 The MPH program equipped me with incomparable opportunities to engage in health research and understand the health and social disparities faced by vulnerable communities both in UAE and internationally, provided me with the necessary skills and valuable knowledge in several fields of study. It also gave me opportunities for research and career development. The most rewarding and important part of the program is the practicum, which provides students the opportunity to meet and work with public health professionals. The rich knowledge of a diverse cohort of students added to the positive learning experience. The MPH program with its experienced faculty provides the ingredients to succeed in many different health’s related careers. It was a great time I spent in Gulf medical University studying Master of Public Health. It has very wonderful faculty, they are very cooperative and the campus environment is positive. The MPH degree provided me with the necessary skills and valuable knowledge in several fields of study. It also gave me opportunities for research and career development. The most rewarding and important part of the program is the practicum, which provides students the opportunity to meet and work with Public Health Professionals. Thank you to the Public Health program faculty for the enriching education.